I went into J.Crew over the weekend to look for a black cardigan for work and somehow ended up with nail polish. I did not know that Essie and J.Crew had teamed up and created 3 colors to go with their spring fashions. I fell in love with the one that the sales associate had on called California Coral. 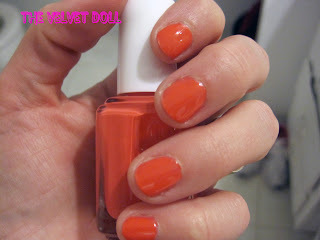 It is a very pretty peachy-coral color that will be my go to for spring!